Let your kids grow in a healthy environment where he/can develop mental and physical strength. Flipkart.com brings for kids Fisher-Price sing and learn light. The toy comes to you at hugely reduced price of Rs 999. The multicolored kids toy light for your kids is a super engaging toy for your kid. The rejuvenating music of the toy helps develop in your kid a charm for music. It helps in over all personality of your little angel, especially the cognitive and monitor skills. Also it works on two AAA batteries and is highly compact. Hence, giving your kid a quality past time whenever he feels like. 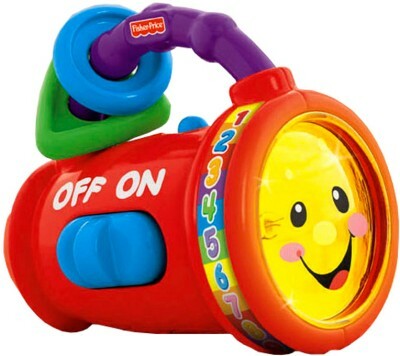 Check out details here of Fisher price sing and learn light brought to you by flipkart.com. How to get this Kidz Toys at discounted price of Rs 999? Get the very fascinating looking light system for your little engineer now.